The Business, Finance, and Administrative Services (BFAS) Division has hired Jennifer Horvath ’08, G ‘14 as its first communications director. Horvath will be tasked with leading the development, implementation and evaluation of strategic internal and external communications plans for the BFAS division. On a day-to-day basis, Horvath will compose, edit and review all materials for BFAS communications, and disseminate content across multiple platforms to build awareness and support for the division’s activities. Horvath comes to BFAS from Syracuse Abroad, where she served as the marketing and communications manager, a post she assumed in September 2012. At Syracuse Abroad, Horvath oversaw all communications efforts on campus, as well as for the University’s seven abroad centers. She worked to support and advance recruitment goals through a streamlined inquiry communications process, a robust peer-to-peer global ambassador program, increased social media engagement with parents and families, and a thorough re-imagining of existing print materials. 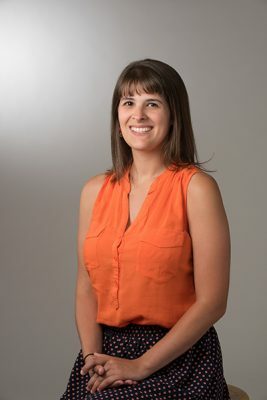 Horvath holds a bachelor of arts degree in magazine journalism and political science from Syracuse University, and a master’s degree in public relations, also from Syracuse. She began her time at the University in December 2009, when she was hired as the public information officer for the Department of Public Safety (DPS). Prior to her time at DPS, Horvath worked for Daemen College and the Buffalo Bills. She will report to Joe Stewart, senior associate vice president of operations.